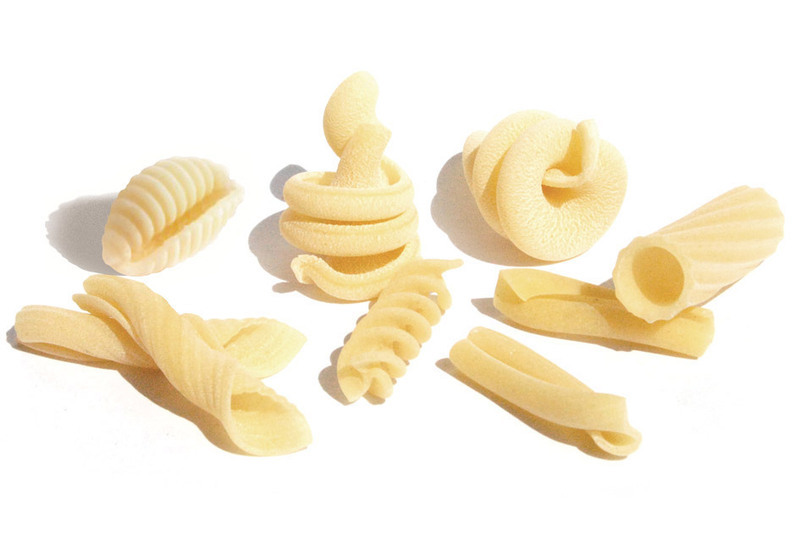 We propose a selection of short pasta shapes designed with the optimum thickness to enhance the flavour of the most original recipes but also excellent with just a drizzle of oil. 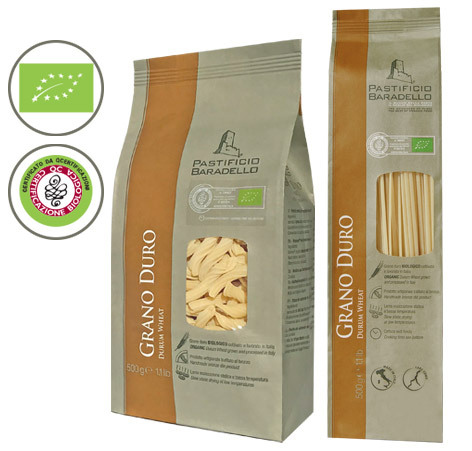 For our “Grano Duro” line we only use durum wheat semolina organically grown and ground in Italy. 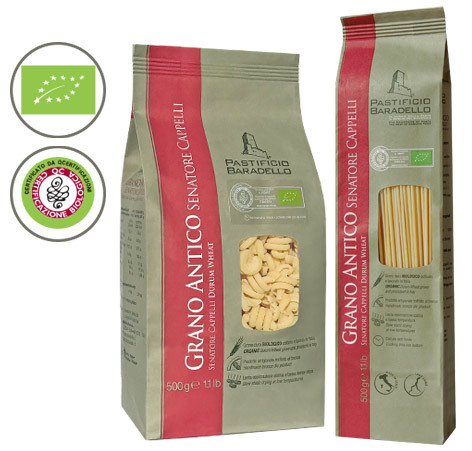 For our “Grano Antico” line we use Senatore Cappelli durum wheat semolina which is organically grown and ground in Italy. 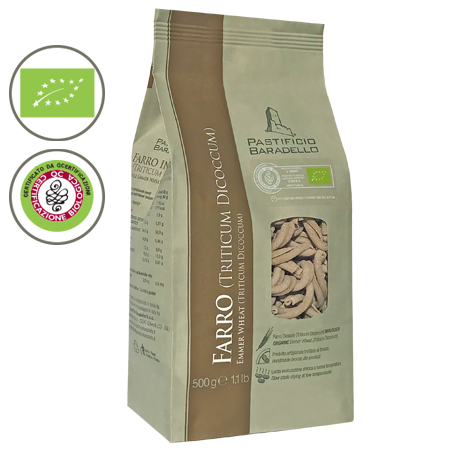 For our "Farro" line we use whole organic emmer wheat semolina (Triticum Dicoccum). Their shape recalls a striped shell. Our ricciolo is a modern day revisiting of the traditional sardinian shape. A simple type of artisan pasta which can be combined with several sauces. Variant of maccheroni with spiral ridges. 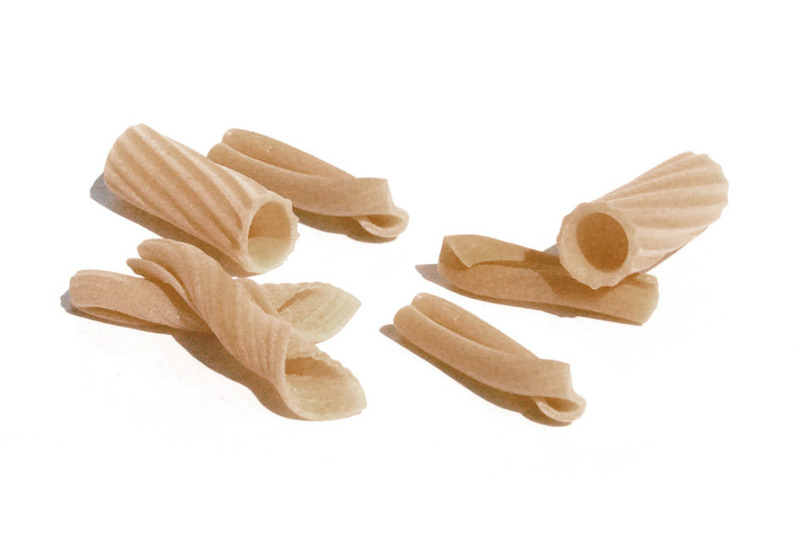 One of the oldest pasta shapes, it recalls the characteristic design of the lathe used for manufacturing pasta. Their name comes from the Italian word ‘fuso’, or spindle, because they were originally hand-produced by wrapping spaghetti around this tool. There are different varieties today: our shape has a spiral effect with three little wings that pursue each other. Their shape recalls that of the old spinning top, a much-loved children’s toy. A very stylish and substantial shape obtained by curling the dough into a ring. Their shape is reminiscent of a little piece of rolled up parchment. The shape is inspired by the traditional “pasta busiata”, which was obtained by wrapping the dough around the “buso", a branch of the Ampelodesmos, a perennial Mediterranean plant. Their light form is reminiscent of the profile of a torch. A very delicate shape similar to penne but with a different texture thanks to the overlapping of two edges. Well known all over the world, spaghetti are an integrant part of the Italian food history. 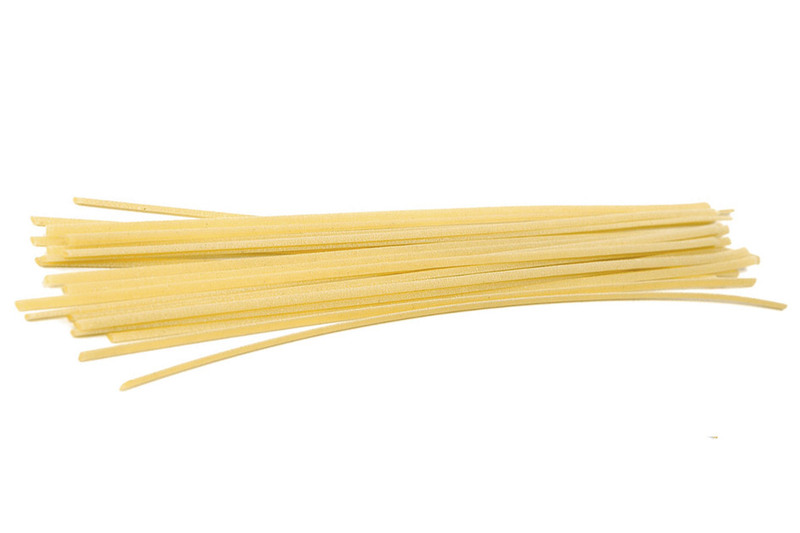 Considered “the King” of the traditional cuisine, spaghetti managed to evolve into countless forms and recipes. By tradition, they are long, thin, solid and cylindric. Eaten with every kind of sauce, they are cooked in hundreds of different recipes. Linguine pasta is loved throughout Italy. The term derives from an Italian word that means “little tongues”. 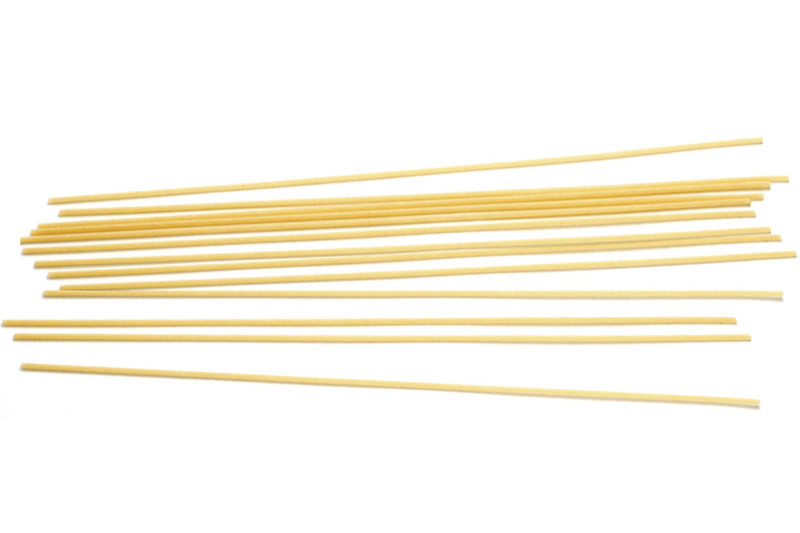 Linguine are slightly oblong in shape like a flattened spaghetti. Eaten in every region of the Italian peninsula, they are often served with seafood, vegetables or pesto.